Very well kept Garden Home (Danberry Model) in the True Blue Golf Plantation (one of the top courses in South Carolina). 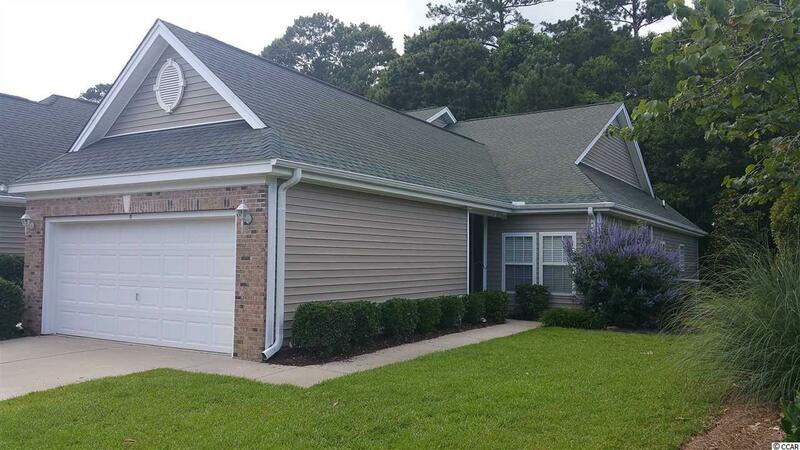 Purchased new by current owner- this end unit has a 2 car garage, natural sunlit living room via 2 solar tubes, and a screened porch with tile floor and a private back and side yard. Community amenities include 2 pools and tennis courts. The Pawleys Island area has eight additional golf courses, fine dining, shopping, public intracoastal waterway access, public beach access (about 3 miles) and more… All measurements and square footage are approximate. Buyer is responsible to verify. Click the VIRTUAL TOUR LINK to see Floor Plans, HD Video, More Pictures, Maps, and Area Attractions.